The biggest way in which the Affordable Healthcare Act has changed patient care and reimbursements is the emphasis on measuring outcomes and patient satisfaction. Designed to provide transparency, reduce costs and deliver an enhanced level of care, Obamacare also ties practitioner reimbursements from Medicare directly to the level of patient satisfaction. The Act has left many clinicians searching for fair and reliable outcomes solutions that provide the required reporting information. Complicating the reporting requirements is the fact that patient satisfaction is a subjective matter based on perception and may have nothing to do with the actual quality of care an individual receives. At times, the two may be contradictory. The Centers for Medicare & Medicaid Services (CMS) states that quality healthcare is a primary goal for all practitioners and facilities. CMS wants to encourage transparency and accountability. This should lead to improved patient care with lower costs. 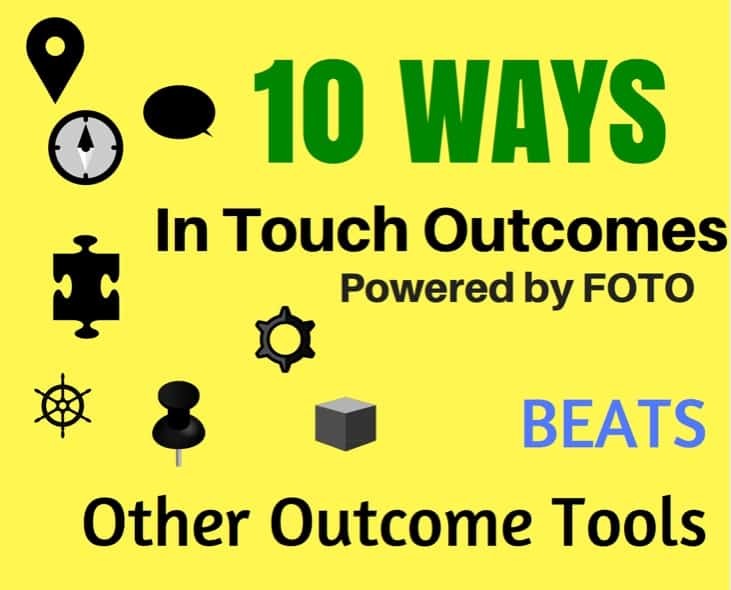 There are 10 functionalities that outcomes software should encompass. In Touch Outcomes™ powered by FOTO™ is a complete outcomes tracking solution that offers all the necessary tools to meet the outcomes and reporting criteria for CMS, while providing clinicians with a powerful tool for risk adjustment, and marketing. In Touch Outcomes™ powered by FOTO™ offers an integrated solution. Patient data from In Touch EMR is seamlessly transmitted to In Touch Outcomes ™, eliminating the manual entering of data and reducing errors. Documentation and errors resulting from the manual input of data are two of the most time-consuming problems for practitioners. When done incorrectly, this can result in claim denials, which critically interrupt the flow of revenue. Ten risk adjustment factors are used to reflect the patient’s symptoms for accuracy, functional limitation reporting with a scale of 0 to 100, and national comparisons. The system provides three functional status measurements – initial, predicted goal and discharge. 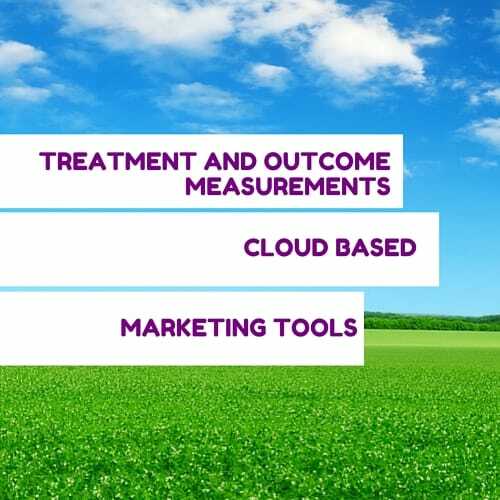 Outcomes can vary widely among patients and between clinics depending upon a number of factors and In Touch Outcomes™ powered by FOTO™ helps level the playing field for benchmarking and reporting, while providing an efficient tool for managing pay for performance (P4P) programs. This gives the user some powerful competitive advantages. In Touch Outcomes™ powered by FOTO™ provides a tested, reliable algorithm with automatic risk adjustment and helps the clinician to make evidence-based decisions to get patients better, faster. The sophisticated algorithm provides more meaningful results, makes reporting more efficient and results in a better patient experience. The outcomes assessment doesn’t need to be long or complicated. Five or six functional questions are enough to obtain a precise clinical picture, and establish a foundation for risk adjustment. Recommended by CMS = No Other Outcomes Tracking Tool Can Make This Claim. Game Over. Since reporting measures are designed to satisfy CMS, it makes sense to utilize software that meets the organization’s criteria. In Touch Outcomes™ powered by FOTO™ is recommended by Medicare for medical necessity for exceeding the therapy cap, functional limitation documentation and provides critical information on whether a cap will be exceeded. The sophisticated algorithm automatically looks up the correct G-code and can be used for bonus programs with private payers. All reporting information and data submitted through this system is approved for PQRS. It provides seven stand-alone measures that are body-part driven and practitioners can gather other criteria if they desire. The system provides quality metrics and is approved for reporting all general outcomes, analysis measures and the PQRS approved data registry. In Touch Outcomes™ powered by FOTO™ leverages a variety of prestigious and practical accolades FOTO™ has garnered that include endorsement by the National Quality Forum (NQF), committed to improving quality in healthcare. In Touch Outcomes™ powered by FOTO™ has also been recommended by Medicare, endorsed by the American Physical Therapy Association’s (APTA’s) Section on Women’s Health (SOWH), and is an official Physical Therapy Outcomes Registry (PTOR) Partner being developed by the APTA. Registry-Based Reporting Directly to CMS. You Pick. We Send. As Simple As That. The software offers registry based instead of claims based reporting with over 14.2 million assessments upon which to draw. CMS requires clinicians to report at least nine measures to avoid penalties, but not all of those are always available, depending on the reason for the individual’s visit. The software provides practitioners with a list from which they can pick and choose the measures that are most applicable. National Benchmarks – Based on Input from over 19,000 Providers. The Future of Pay for Performance Benchmarking is Here. Predictive Outcomes = Better Patient Care. Yes, This is Artificial Intelligence for Your Private Practice. In Touch Outcomes™ powered by FOTO™ provides practitioners with predictions to enable greater efficiency in reporting how many visits a patient will require and the changes in functional status with each visit. Practitioners can demonstrate the progress each patient has made from visit to visit as compared to the predicted number of visits. An added benefit is that the software is multi-lingual, supporting both English, French and Spanish. Combined with the patient’s intake assessment, clinicians can measure outcomes, manage quality of care and utilize the results to market their clinic’s particular strengths. At the intake phase, In Touch Outcomes™ powered by FOTO™ provides patients with a self-assessment featuring a user-friendly interface with large print. The assessment can be completed online and the data is available to the practitioner when the patient arrives. The assessment takes approximately six minutes to complete and automatically applies risk adjustment and predictive analytics for a patient score and provides a summary of the impairment level and limitations based on the patient’s information. The data is automatically tied to potential G-codes and severity modifiers. Patients complete a patient satisfaction survey upon discharge. A cloud-based system is critical for today’s fast-paced clinics and In Touch Outcomes™ powered by FOTO™ can be employed on laptops, tablets and smartphones, accessed from any location with an Internet connection for complete convenience, and is fully HIPAA compliant. It offers enhanced convenience, condition specific assessments, and clinicians can utilize computer adaptive testing. Goal status can be predicted using risk adjusted predictions for more accurate results. Skyrocket Credibility with Website Widgets. You’re Better and the World Should Know. Don’t Tell Them, Show Them. In Touch Outcomes™ powered by FOTO™ provides clinicians with mobile marketing tools for sharing success through social media. The clinic’s successes and rankings can be promoted on the practice website and the practitioner selects the criteria for national rankings against which the clinic will be compared. The software provides practitioners with easily recognizable website widgets to communicate with colleagues, physicians and patients for increased referrals and new patient acquisition. This is effective for increasing payer reimbursements, while allowing clinicians to differentiate their practice and demonstrate why they are better. In Touch Outcomes™ powered by FOTO™ is utilized by more than 19,000 clinicians in over 3,800 clinics nationwide. The software contains over 14.2 million assessments and more than 3.7 million completed patient episodes from which data is drawn. It’s an affordable option that helps clinicians avoid the 2 percent penalty imposed in 2016 that requires three reported measures over one NQS domain and three measures over one NQS domain. The system provides pertinent data about patient satisfaction, pain levels, treatment and success levels to meet all registry requirements with precise data, making it easy to track and view the effectiveness and efficiency of treatment and patient satisfaction. Healthcare is evolving from the traditional model of being paid for services to a system in which clinicians are reimbursed based on performance according to specific benchmarks, making it essential that practitioners can demonstrate success in effective treatment outcomes and patient satisfaction. In Touch Outcomes™ powered by FOTO™ provides the solution for accomplishing those goals in an efficient and cost effective way. please call your account manager, or call (800)-421-8442 extension 1 (Sales).